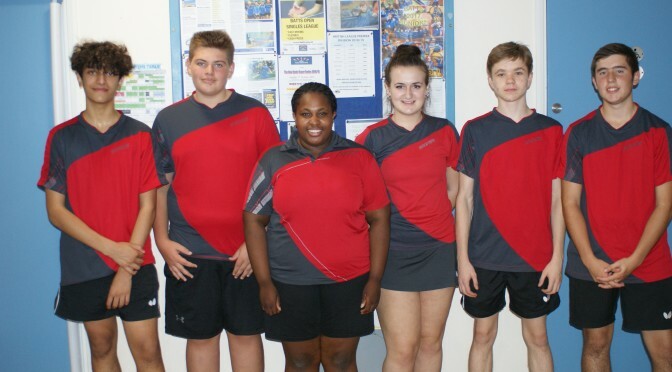 The first rounds of County Cadet Division 1A matches were played on Saturday 20 October 2018 with three rounds of matches to be played. To reduce traveling distances this first round was split into two halves, the eastern half Essex, Middlesex 1, Middlesex 2 and Suffolk to play one another at NETTS, Earls Colne whilst the southern half of the Division, Surrey 1, Surrey 2 and Sussex 2 played one another at the Graham Spicer Centre, New Malden. Sadly, at the last minute, the two Middlesex teams found themselves with only one girl player for each team. 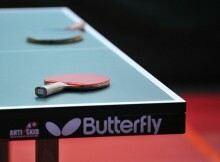 All matches were played on two tables. Cadet Rankings are shown in brackets. 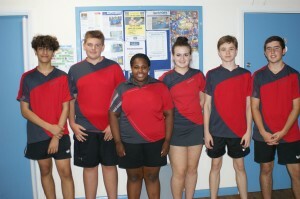 The Essex Team was Daniel Young (421), Jesse Bath (299), Ralph Pattison (496), Maliha Baig (638) and Olivia Jones. Oliver Rampton had not fully recovered from a broken arm. In their first match the team had Middlesex 2 to play. Not a good start with Jesse losing to Lucas Aulnette (394) and ten year old Ralph losing to Jenson Moreno (644) on the other table, both 1-3. Olivia beat Jacqueline Lesh easily as did Maliha later on. With only five ranking points difference Daniel eventually overcame Brandon Sangchan (426) 11-3 in the decider. Ralph then lost to Lucas 10, 5, 9 with no luck from the opponents net points at crucial stages of the match. With Jesse losing 3-0 to Brandon it relied on Daniel winning the last match against Jenson (he did 9, 6, -4, 6) to gain the team a 6-4 win. Their next opponents were neighbours Suffolk and what a tough match this was. The longest of the day time wise after four of the first five matches went to a deciding game. Ralph, after a most promising start, lost to McKenzie Lowe (457) 0-11, 13-11, 13-11, 11-13, 11-9. A cruel deciding game with Ralph 9-6 up McKenzie then took a Time Out and then won the next three points with unplayable nets and went on to win the next two points. Oh so close. It was just as close on the other table as Jesse came from behind to beat Henry Shaw (274) 12-14, 12-10 5-11, 11-9, 11-9. Maliha had an easy 3-0 win against Lucy Needham as did Olivia later on but Olivia’s first match with Isobel McGerty (466) was a marathon, 2-0 but finally lost 11-8 in the decider. 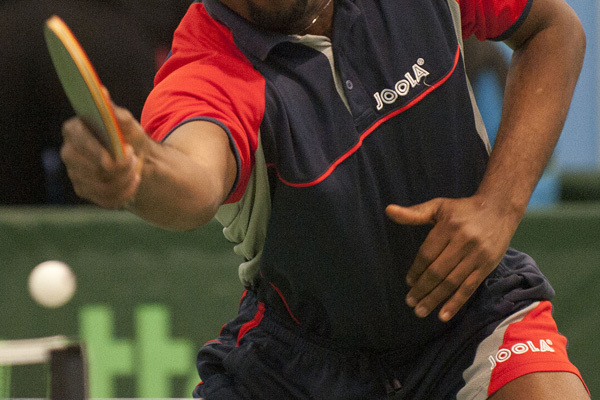 Daniel was another to lose 11-8 in a decider when he played Luke Davies-Stokes (665) having pulled back from 2-0 down. Maliha’s nail biting win over Isobel 5, 7, -9, 10 brought the match score to 4-4. After Jesse lost to Luke 3-0 it was up to Daniel again and he did not disappoint with a 3-0 win over McKenzie for a drawn match. For their last match Essex had to play leaders Middlesex who had won both their matches despite being a girl player short. Jesse started with a great win over the higher ranked Charlie Nabarro 6, 4, 7 but alas this was the Team’s last win on the table. Best match of the rest was that between Maliha and Scarlett Anders and won by Scarlett -7, 7, 7, -9, 6 in an all action match and great high speed rallies. Final score 7-3 to Middlesex. The final round of matches will be played at BATTS Harlow when there will be four rounds of matches to play. Currently scheduled for Sunday 31 March but could be switched to Saturday 30 March if the scheduled Premier British League match becomes an away fixture. The first round of County Junior Championship Division 1B matches organised by Buckinghamshire were played at the BATTS Table Tennis Club, Harlow on Saturday 29 September 2018. Four crushing results for the Surrey team and for the other seven teams some really close matches with seven draws in the twelve matches between those teams. 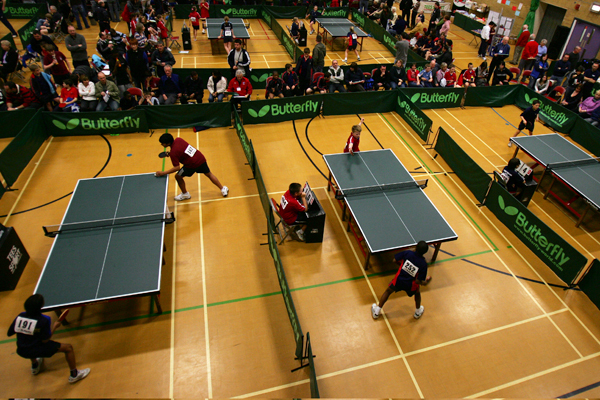 With Table Tennis England requiring the Junior Registration Forms before the Essex Assessment Trials were held, County Secretary Arthur Clark only had the then current TTE Ranking Lists on which to base the Essex ranking Lists for registration. The loss of three of our four top ranked boys from last season meant there would be a very new look to the team. At the Trials it became known that two of the top three boys would be unable to play in the first round of county matches. At the ranking trials discussions took place with players and all agreed that the probable three second team boys would play up for the First Team, by selecting three players it would mean they would still be eligible to play in the second team. Ranking Points of all the players are shown in brackets where known. In the first round of matches the Essex 1 team recorded an 8-2 victory over Buckinghamshire. In the opening matches Harry Keys (298) narrowly lost to James George (433) 7, -11, 9, 10 whilst on the adjacent table Daniel Young (366) beat Pranav Gudipati (408) 9, 5, 10. Gracie Edwards (731) and Tiana Dennison (875) won their matches 3-1 over Jemma Walker and Shristi Ghosh respectively and later on won the reverse fixtures both 3-0. Jaden Aulakh (770) had a tough first match against Shae Thakker eventually winning -10, 4, 9, -9, 9 while on the adjacent table Harry beat Pranav 3-0 to put Essex 5-1 up. In the final two matches Daniel lost to Shae 7, -9, 8, 12 and for Jaden a narrow 7, -9, 12, 12, win over James. A good start in what was to become a very competitive Division. In the second round against Devon 2 Arran Hutchinson (367) played instead of Daniel. He lost his opening match to Michael Hernandez 5, 6, -12, 3 as did Harry, also 3-1 to Oliver Cornish (523). Both girls matches went to five games, Tiana winning game 3 in the decider with Lauren Loosemore (323) while Gracie lost -10, 5, -9, 9, -6 to Emily Haskell (712). Jaden then beat Ben Edmunds 3-1 (577) but Harry lost 9 in the fourth game to Michael. The return girls fixtures provided much easier wins and Jaden made the result a draw with a 3-0 win over Oliver after Arran had lost 3-0 to Ben. Most unusually all eight teams in the Division already had a point after only two rounds of matches, a fact that I cannot remember happening previously when there were eight teams in a Division. -7, 8, 9 against Sophie (201). The next two matches were just as tough, Jaden just getting the better of Ali Malloch (583) 9, -8, 7,-5, 8 while on the other table Harry let a 10-8 lead in the third game slip to then lose -11, -5, 16, 9, 9 to Jamie. Gracie was unable to prevent the winning shots from Sophie, losing 9, 7, 7 while Tiana was taken the full distance by Katie before winning -4, 10, -10, 7, 2. With Daniel losing 3-1 to Ali it was left to Jaden to get another final game win and another draw for the Team. The win was duly achieved over Matt -12, 10, 7, 7. For the final round of matches Essex had to play Sussex 2 who were a girl short and like Essex had drawn two of their matches. Like the previous two rounds Essex lost the first two matches. Arron to Jacob Evans (835) 3-0 and Daniel to Will Michell 3-1. Gracie and Tiana both beat Jodie Morris (677) 3-0. Jaden lost his first match of the day to defender Charlie Graham-Adams (905) 3-1 and Daniel lost 3-0 to Jacob. With Arran losing 3-0 to Charlie, it looked at one time that Arran might win the second game, it was left to Jaden to win his last match and gain another draw for his team. Losing the first game to Will 8 and winning the next two games 4 and 8 a win was looking likely. Not so, Jaden lost the next game to 8 and that set up a titanic final game. Both players had match points until the score reached 15-14 and Jaden got the winning point, thus a draw and three draws for each team on the day. Reviewing the day’s matches Surrey 1 were the outstanding team of the day losing only three matches all day and barring a disastrous second round of matches would be worthy champions. They are due to play current second place Dorset 2 in the first round of matches at Cippenham on Sunday 31 March 2019. For the other six teams none of them are clear of relegation. Robert Pelc (Sy) is the only boy to have won all his matches with Jamie Blair (Do), Jaden Aulakh (E), William Poulter (Ha) and Jamie Nordin (Sy) each losing once. For the girls Danielle Kelly, Federica Bonato (both Sy) and Tiana Dennison (E) won all their matches. Jaden Aulakh 7 out of 8, Daniel Young 1 out of 6, Harry Keys 1 out of 6, Arran Hutchinson 0 out of 4, Tiana Dennison 7 out of 7 and Gracie Edwards 5 out of 7. An outstanding day for Jaden Aulakh in his matches against the top two boys of each team. For Arran Hutchinson and Harry Keys a tough initiation against players ranked higher than themselves in their last season as juniors and for Daniel Young three seasons at a higher level to look forward to. They should find matches easier to win when they play for the Second Team in a month’s time. This is also Tiana Dennison’s last season as a junior player.